Surrounded by architecture that dates back to the Georgian period, The Chilterns is a new luxury apartment development located in an area described as “classic London”. Brimming with charm, character and history, the multi-million-pound apartments, which are a joint venture between Galliard Homes and Frogmore and C J O’Shea, include visionary architecture and stunning interiors by world-renowned designer Rabih Hage. 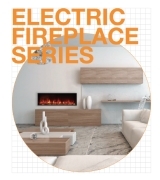 Each spacious apartment also features the world’s most captivating, clean burning fireplaces: EcoSmart Fire. Installed by Smart Fire UK, EcoSmart’s versatile designs are exemplified by the fact that its XL900 Burners seamlessly integrate with all six interior design schemes created exclusively for The Chilterns: Timeless, The Collector, The Voyager, The Minimalist, Neo-Heritage and Connoisseur. 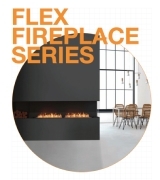 “The fires meet the high specification we look for in products we install and have become a selling point for us,” Lesley explains. “They set us apart from similar developments and offer our customers something new and different. Each fire feature runs off bioethanol, which is a clean burning fuel sourced from agricultural by-products. This eco-friendly formulation is stored in the device’s internal reservoirs, meaning there are no pipes or cables required during the installation process. 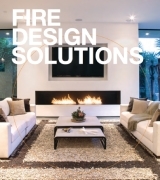 Furthermore, all the workings of the fire are managed from inside the system so they can simply be installed into a standard frame or inside an existing fireplace. 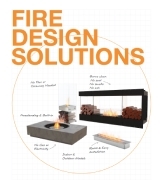 “Our fires are the obvious choice for new build properties simply because they don’t need a chimney or flue,” says Paul Holt from Smart Fire UK. “It also means interior designers aren’t restricted as to where they place the fire – it can go anywhere in a room and the finish can be hand crafted to fit in with the interior.